arata bine insa are un aer trist si dezolant. asta ai vrut sa transmiti? All Photographs by Frans LantingWhile on assignment in Namibia for National Geographic magazine, Frans Lanting captured this surreal landscape image in a location called Dead Vlei. Due to the nature of the lighting in the frame, the photograph appears almost like a painting. We asked Lanting to take a few moments away from his current assignment in Africa to answer readers’ questions about the photograph. Due to limited internet connectivity in the field, he was only able to provide brief responses to. questions, so we asked Elizabeth Krist—Lanting’s photo editor for this story—to offer additional detail where appropriate. From Shay Mordo: Absolutely amazing composition! Did it require prior planning or it was just being in the right place at the right time? Lanting: Here’s a short summary about the making of the photo. It was made at dawn when the warm light of the morning sun was illuminating a huge red sand dune dotted with white grasses while the white floor of the clay pan was still in shade. It looks blue because it reflects the color of the sky above. Because of the contrast between the shady foreground and the sunlit background I used a two-stop graduated filter which reduced the contrast. The perfect moment came when the sun reached all the way down to the bottom of the sand dune just before it reached the desert floor. I used a long telephoto lens and stopped it all the way down to compress the perspective. Krist: Our photographers do extensive planning, often selecting specific locations before they even set foot in the field, and in this case Frans was fortunate to have his wife, Chris Eckstrom, helping with research and logistics. A key factor in all our stories is giving the photographer enough time to scout situations so they know where the light will hit, when people might arrive, what the problems will be, etc., and can return at the best times. From Ana Paula: What is it that appears white in the orange background? Lanting: The sand dune is dotted with white grasses. From Cathy Cory: What editing did you do to this image and what software did you use? I’m an art student working toward my B.F.A. and this image does look to be heavily edited. Some explanation would be helpful. Thank you. Lanting: The colors in the final printed image were true to the scene as I saw it—the only technical adjustment I made was the use of the graduated filter, which only reduces contrast but does not affect the colors of the scene. Krist: We never touch anything that will affect composition or the action that happens in a frame, but we do crop images to fit the layout, and our pre-press staff are masters at helping to adjust color or exposure so that the photograph will print well. Can you describe what it is that makes this photo look like a painting to so many people? Krist: I think it’s the intensity of the sunlight falling only on the dune in the distance, while the foreground is still in early morning shadow, so the trees are almost in silhouette. The dune, called Big Daddy, is almost 1,200 feet tall, and is an intense reddish-orange color, so it creates a mysterious backdrop. Are there techniques people can use to capture similar images? Krist: One reason people respond so strongly to this image is just how surreal and otherworldly it looks. My advice to both students and professionals is to always, always, always use the drama of light (and composition, too, of course) to go beyond simply recording the scene in front of you. If you’re standing with a group of photographers, why would you want to shoot the same picture everyone else is shooting? You have to master the equipment, but you also want to find your own distinctive approach. A lot of that is sheer effort—trying different angles and distances (lying on the ground, climbing a hill), or investing the time to wait for just the right moment or weather and coming back the next day for a second chance. But there’s always that elusive imaginative element, too. Did you have any expectation that this particular photo would be so popular? Krist: I can’t speak for Frans at the moment he shot the image, but it was fascinating to see the reactions here at the magazine. People were polarized. Most of the editors loved it, but it left a few people cold. This scene, with the dead trees, stood out for us immediately while we were editing, but Frans shot a lot of variations, and we did have to do a lot of close comparisons before we finally settled on this one frame. Why did you choose to shoot the five different frames that appear on this page, and what were you trying to tease out of the landscape in each frame? Krist: Frans shot almost 16,000 frames for this story, and when I went back to look, I found that he had shot 321 images of the dead trees in Sossusvlei and Dead Vlei. (That’s actually relatively few frames for such an iconic scene, but Frans had a shorter time than usual in the field for this assignment, and he was trying to cover a lot of ground.) He was simply trying to give us the greatest visual variety from that unusual location in the brief time he had there. Could you talk about the quality of light at different times of the day in the locale and what’s better for achieving the perfect photo? Krist: The early morning light and the light at dusk usually yield the most romantic and beautiful feeling for most locations. But it all depends on the kind of effect you’re going for, and if you want the harsh light of midday, that can also give a certain kind of drama. There is no such thing as the one perfect photo! tu te-ai prins ca e fotografie, totusi imaginea nu e modificata digital, "bulgarii" sunt niste ierburi albe in duna de nisip. urmatoarea imagine ce este, pictura sau fotografie? 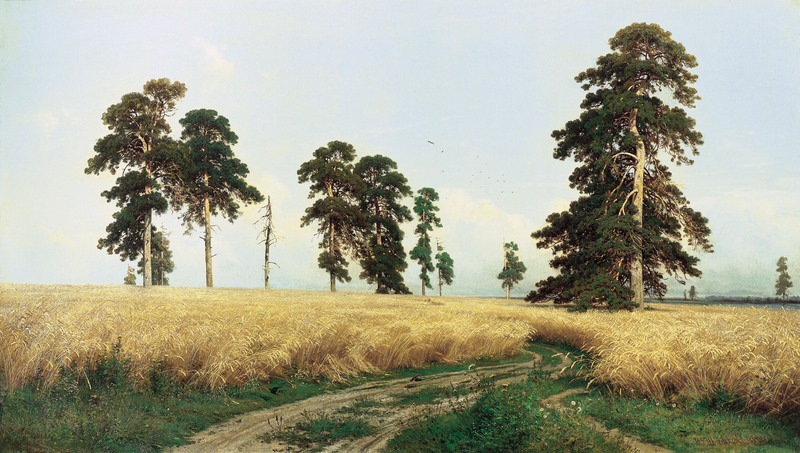 si eu as fi crezut la fel, insa este o pictura de Ivan Shishkin, un pictor rus care a trait in secolul al XIX-lea, incredibila finetea si atentia lui la detalii, in timpul lui, el a reusit in pictura performanta unei fotografii. uau, atat de multe detalii. inainte sa ma uit la raspunsul tau m-am uitat la imagine si as fi putut jura ca-i o fotografie. Water never looks the same way twice. Influenced by temperature, wind, light, and the mysteries under the surface, I think as an artist that it's elusiveness is what always appeals to me. That I am never to know all it’s secrets, unable to slow it down to where I can take in every detail of what makes up a scene in front of me without losing something integral, leaves me with a sense of painting a puzzle piece. It may look correct, but it has no sound, and it does not move. Our memory and our imagination must fill in to ever complete the scene again. Once again, pictura sau poza?